There has been an American Hotel on this site since about 1790. The first two were made of wood. The present day building was built in 1840. After two fires in the 1850’s, it was rebuilt in 1861 by Mr. Mosley. 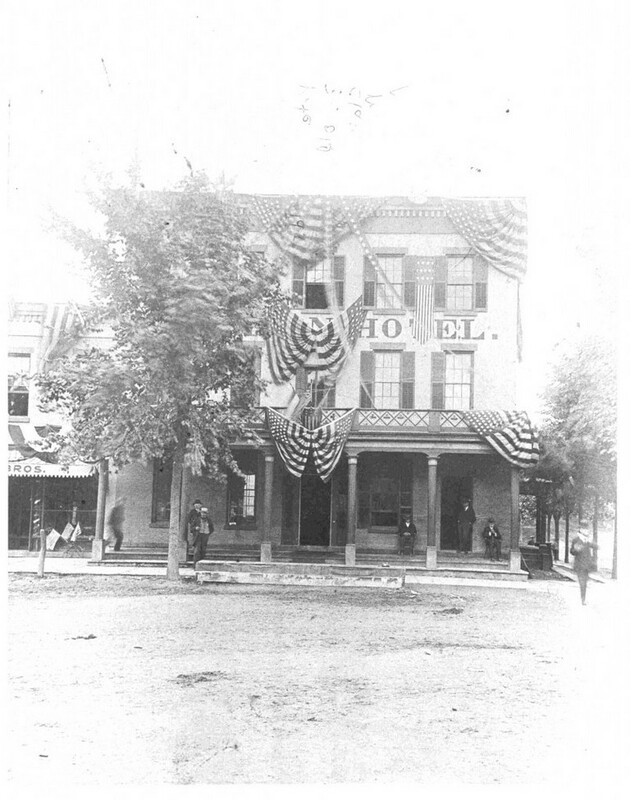 The hotel has been owned and operated by the Reynolds family since 1920. It is still operated as a hotel, the second floor rooms are available for rent. The Reynolds family has always resided on the third floor of the hotel. 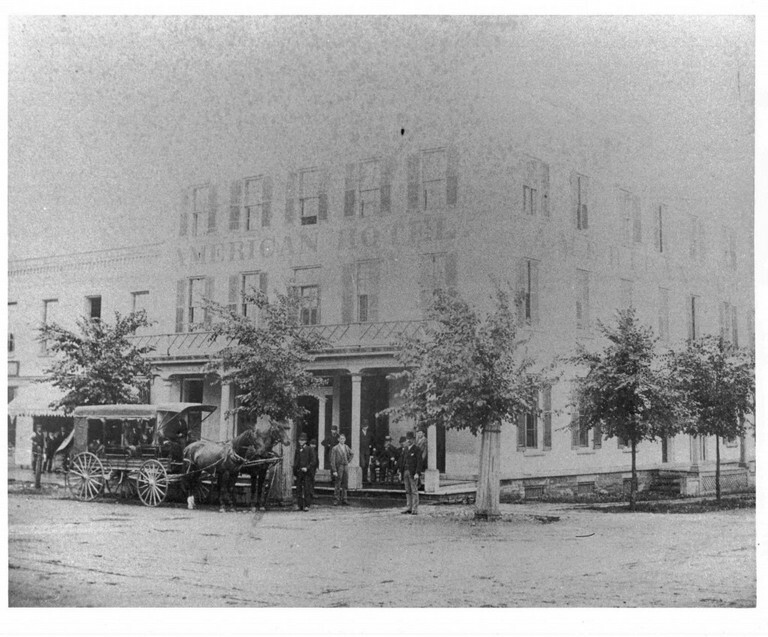 In 1920, the nation was in the midst of the “Noble Experiment” (Prohibition) when John K. Reynolds and William Shanley purchased the American Hotel from the partnership of Taylor and Finucane. Mr. Reynolds bought out Mr. Shanley two years later disproving the adage that, two heads are better than one. In the 1920’s, the hotel offered a full menu including breakfast, lunch and dinner and catered to the travelers of Routes 5 & 20. These routes being the main road between Boston, Buffalo, and beyond. The present bar was converted to a soda fountain during Prohibition. The repeal of Prohibition on December 5,1933, changed the business into a successful licensed establishment, and it was the only licensee until the mid-1940’s in Lima. During this period John K. hired a bartender by the name of Jimmy Hendrick. Jimmy remained with us until his death 48 years later. He was as much a fixture at the hotel as the pillars supporting the front porch. John F. Reynolds (“Junior”) married Aretha Costello of Livonia Center in 1940 and took over management of the business from his father in 1946. At this time, during World War II, the dinner business dropped off and the menu was shortened to just lunches. Between 1941 and 1953, Junior and Aretha were too busy parenting seven children (5 boys and 2 girls) to run a full restaurant, bar, and hotel. In 1942 another long term employee, Dorothy Magar came to the hotel to help with this “population explosion” and has remained with us since, thus the fourth generation of Reynolds’ (the 12 grandchildren of John and Aretha) still have a “Nana“ to visit at the hotel. In the 1950’s, Junior and Aretha had a prosperous business; despite the increase of licensees in the town and the opening of the N.Y. State Thruway in 1954 which turned Routes 5 & 20 into just another east-west highway. Many motels and restaurants on 5 & 20 went out of business in the 50’s, and never re-opened. And in 1955, change came to the American Hotel as well – the sign over the bar that read “NO LADIES served at the bar” came down for good and the bar stools were placed up against the men’s tall “standing” bar. Many people still remark how “short” they feel sitting at the bar. In the 60’s and 70’s business was steady and many a Friday night was spent by Junior and the locals watching the boxing matches on the black and white RCA television. On Sunday they watched either the Browns or the Giants football games. In July 1979 at the age of 68, Junior Reynolds died and an era came to an end. In 1971, Terry Reynolds – the youngest of the seven children – came from Michigan State to help his ailing Dad run the hotel. Pat (No. 5) returned from the Navy in 1974 to pitch in. And finally 1983, Rose (No. 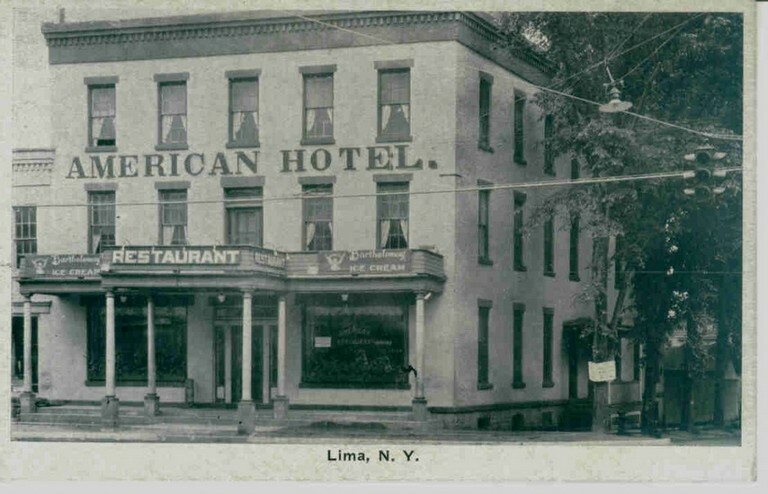 6) re-settled in Lima after various careers that took here from San Francisco to New Hampshire. Thus the third generation of Reynolds’ “came of age” and helped their mother in the daily running of the hotel. Terry left the business in 1987 and moved to Ft. Lauderdale, Florida, where he was a sou-chef for seventeen years in a French restaurant. He passed away in September 2004 at age 50. In 1992, Aretha Reynolds passed away and Pat became the owner and continues to have the assistance of his sister Rose. Dorothy Magar who was with us for nearly 60 years retired in 1995. Dorothy died in March of 2006. Since Rose has been here our reputation for home made soups has grown by leaps and bounds in the Greater Rochester Area and beyond. We are also supported by many loyal employees who have been here on an average of 10 years. We appreciate our many good customers who continue to enable us to enjoy this business.